During divorce mediation many spouses will need to transfer titles as a part of the settlement of the asset division. 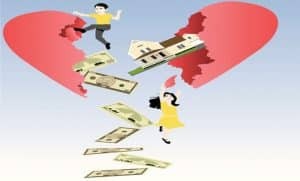 In order to get a divorce finalized you’ll need to work out the division of debts and assets coming from the marriage and just like the other important choices that you’ll have to make it’s always best to make these decisions with your soon to be ex-spouse. Through mediation you’ll have control over these decisions and will be able to find the right solutions. If any titles need to be transferred the mediator will be able to help with that as well. The mediator will help with all of the stages listed above and in some cases the value of debts and assets can be valued by the couple. It is important to get all of the values determined of the debts and assets before making any final decision about the division of the property. When the assets and debts are divided up the titles of vehicles may need to be transferred. If, for example, both spouses have their names on both of the family cars, the names will need to be switched on the titles. In a simple division of property one party would get one car and the other party would get the other one. The titles on the cars need to be changed to reflect their new sole owners. During a divorce this can be quite complicated and complex. One of the rules of the mediator is to take some of the complexity out of this situation to simplify things for you. One thing that he can do is help with the title transfers once a division of the vehicles has been established. The mediator can also help with property title transfers if one spouse is going to be keeping the home. Everything needs to be properly documented when one spouse is relinquishing his legal rights to any of the couples’ community property. Mediation is one of the most popular options for settling the terms of a divorce. As long as both parties agree to mediation efforts, things can be sorted out in a fair and peaceful way. No matter how complex or complicated your divorce may be, it can be mediated. Any and all obstacles can be overcome when you use a third-party negotiator. Mediation gives you back control over your divorce and allows you to take part in the important decision-making that will govern your future. At Santa Clara Divorce Mediation, we can help you do all of these transfers.